Jeremy R. Schulze is a Director with Betts, Patterson & Mines, where he focuses his practice on insurance coverage litigation. Schulze has extensive experience in insurance coverage litigation and representing major commercial insurers in bad faith, environmental, construction defect, and mass tort insurance coverage litigation. 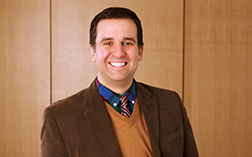 Prior to joining Betts Patterson & Mines, Schulze received his J.D., with honors, from the University of Michigan in 2004 where he was the Articles Editor for the Michigan Journal of Law Reform and Best Oralist in the Campbell Moot Court Competition. He clerked for the Hon. Mona K. Majzoub in the U.S. District court for the Eastern District of Michigan from 2004-2006. From 2006 to 2013 Schulze worked for Michaels & May, P.C., specializing in insurance coverage litigation, commercial litigation, and intellectual property matters.